In honor of Myths and Legends Con starting on Friday (August 4th), I’m doing a Myths & Legends Week here at SPOD! Today’s Pick is kind of perfect for that, don’t you think? Wanna play a Half-Ogre, Minotaur, or Valkyrie in Savage Worlds? Here you go. 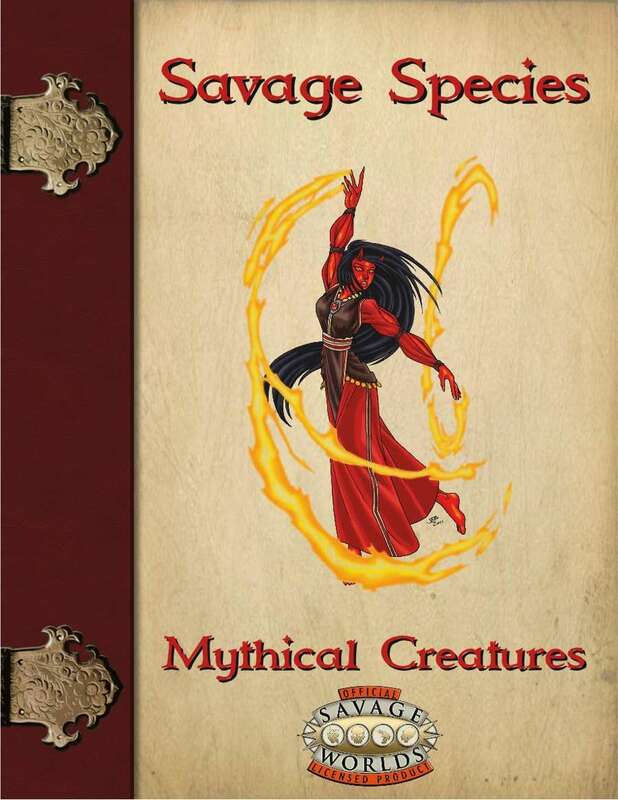 Savage Species: Mythical Creatures is a racial supplement for the Savage Worlds roleplaying game. Inside this PDF you will find statistics for 20 playable races all themed after myths and legends of fantasy. So prepare your imagination with Savage Species: Mythic Creatures! Do yourself a favor – take a look through the many, many products that link off of this page. Is there any real wonder why we’re finishing off Cut It to the Core Week with the single most popular and widespread multi-genre core rules engine in the gaming world? 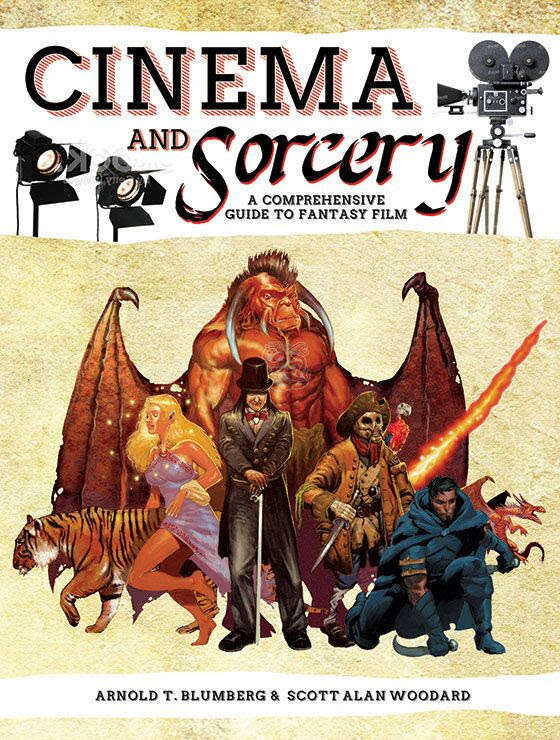 (And, yes, I will argue to the mat that OGL/d20 – despite many interesting efforts to work it into various genres – is and always will be, first and foremost, the World’s Most Popular Fantasy Game engine well before it can be said to be a universal core set of rules). Savage Worlds is played at just about every single convention in the U.S. and all over the world, and you’ll find every sort of setting and genre experience. It would be very difficult, I believe, to find a system more widely used across more styles of games. And the core rulebooks is still only $10! Actually, as of this writing, it’s $7.49 for Christmas in July. Savage Worlds is a Fast! Furious! and Fun! rules system for any genre of roleplaying game. Create your own setting, convert an existing one, or pick up one of our amazing worlds like Deadlands, Slipstream, or Weird War II.The rules give players plenty of depth to create their characters and keep bookkeeping to a minimum for the game master. If you’re looking for a game that’s fast and easy to set up, run, and play, Savage Worlds is for you! 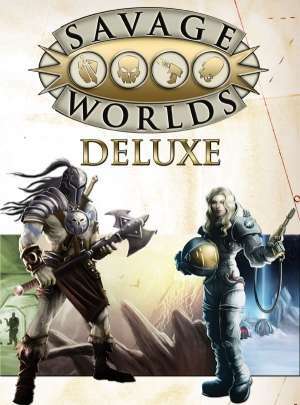 Savage Worlds Deluxe is the newest edition, providing an update to the third printing of Savage Worlds Explorer’s Edition. It includes rules updates, new rules material, new art, more examples, an expanded Setting Rules section, Designer Notes to give you an insight into the development, and much more. It does not, however, invalidate prior printings of the rules, which you can continue enjoy. Today, as part of Cut It to the Core Week, we celebrate one of the first, most important, and most successful efforts to create a universal core game engine across multiple settings and genre. Basic Roleplaying (BRP) was the heart of the original Runequest and Call of Cthulhu, making it hands-down one of the most influential game designs in our history. It’s still going strong, as this list of products certifies. From its origin, Basic Roleplaying was designed to be intuitive and easy to play. Character attributes follow a 3D6 curve, and the other Basic Roleplayingmechanics are even simpler. Virtually all rolls determining success or failure of a task are determined via the roll of percentile dice. This means that there’s less fiddling with dice of different types, and the concept of a percentile chance of success is extremely easy for beginners and experienced players to grasp. There aren’t many easier ways to say a character has a 70% chance of succeeding at an activity. The runaway smash system from Monte Cook Games is a must-Pick for Cut It to the Core Week. Not only is this the engine for the wildly popular Numenera and The Strange, but more and more folks are diving into this system for published and home-crafted settings. 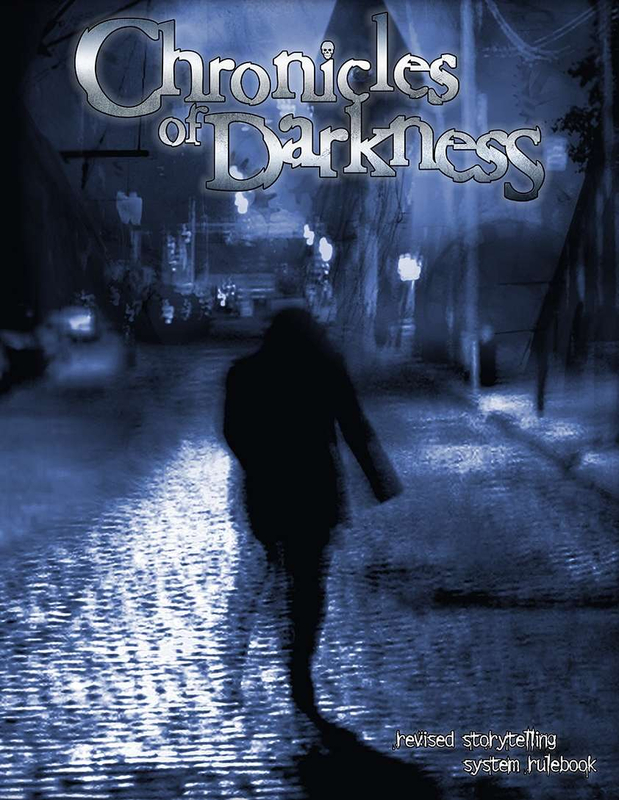 Cut It to the Core Week continues with a Pick for all the folks still yearning for a World of Darkness that makes sense to them. This is the gateway book to everything else Onyx Path has done and is doing with what was once called the nWoD. If you liked the first run at “revising it all,” you’ll want to start here. With the recent release of my friend Eloy Lasanta’s core system, a new Theme Week is launched – Cut It to the Core Week! 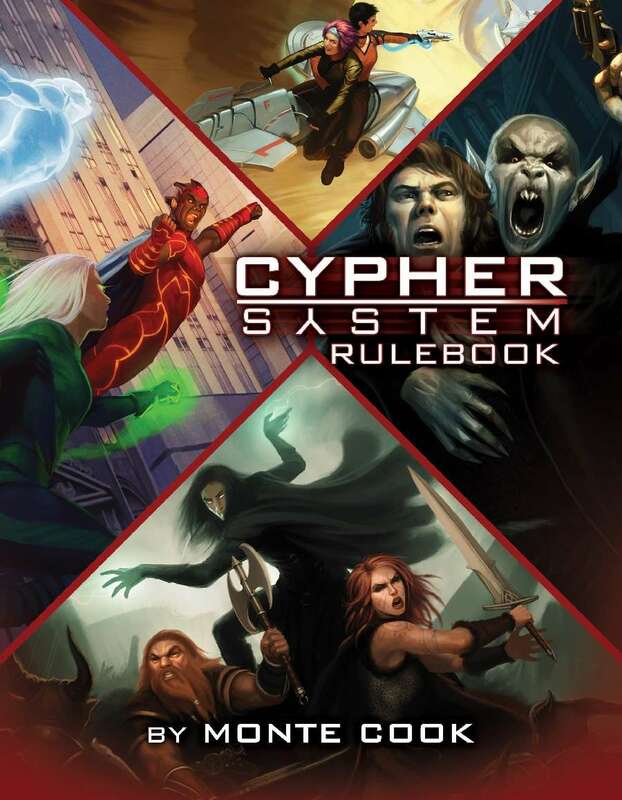 We’ll take a look at some core system rulebooks that may well give you the foundation for most or all of your gaming needs. The Pip System is the foundation engine for Third Eye’s more kid-friendly gaming, though it works great for anyone looking for light, easy rules with which to dive into the fun. The cover is the grabber, the thing that gets people to seriously look at something as it sits on the shelf. Even in this day of “digital shelves,” that cover makes all the difference as eyes scan screens, looking at what they might click on to discover more. The essence of a product has to be summed up in the cover, but a cover also inspires, making a player want to delve into the world depicted and making a GM want to present something memorable. IN A WORLD FULL OF MONSTERS AND MADNESS, IT’S GOOD TO KNOW WHAT’S COMING. One day, your heroes may face a heavily mechanized patrol of Coalition Soldiers. The next, they’re trading lasers and mystic bolts with a horde of cybernetic-loving demons called Brodkil. 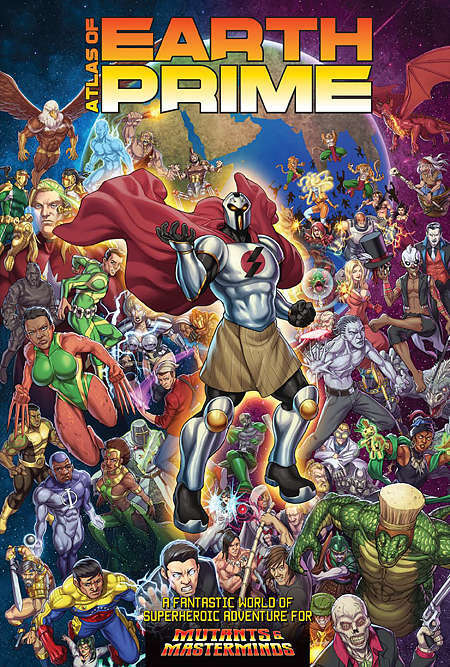 Next week, a gargantuan tentacled horror from a Rift threatens every living thing in the region, and it’s up to the Tomorrow Legion to stop it…somehow. 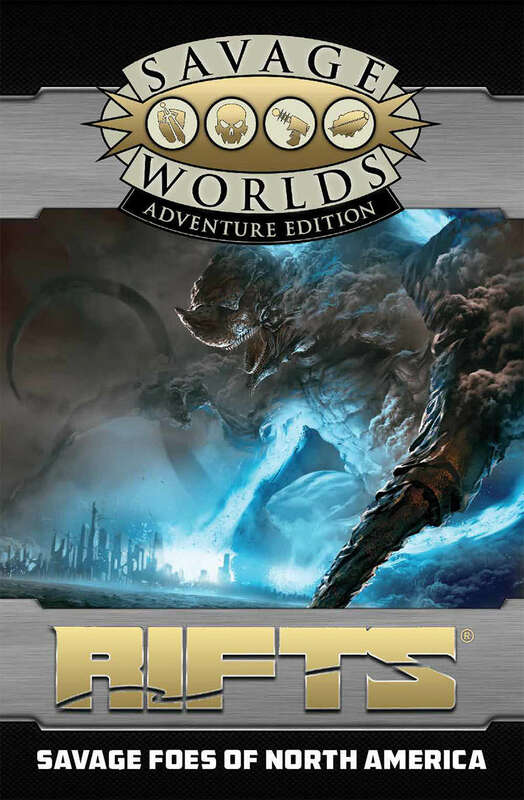 Rifts®: Savage Foes of North America contains stats and descriptions for all of the major monsters and enemies a group of heroes might face as they serve in the Tomorrow Legion: the Coalition States, the Federation of Magic, the Black Market, the 1st Apocalyptic Cavalry, the bandits of the Pecos Empire, and much, much more. Important key figures, such as Emperor Prosek, Lord Alistair Dunscon, and Sabre Lasar are included. For those times when a Rift opens and you want randomly figure out what comes out of it, there’s an extensive Creatures from the Rifts Generator to help you. 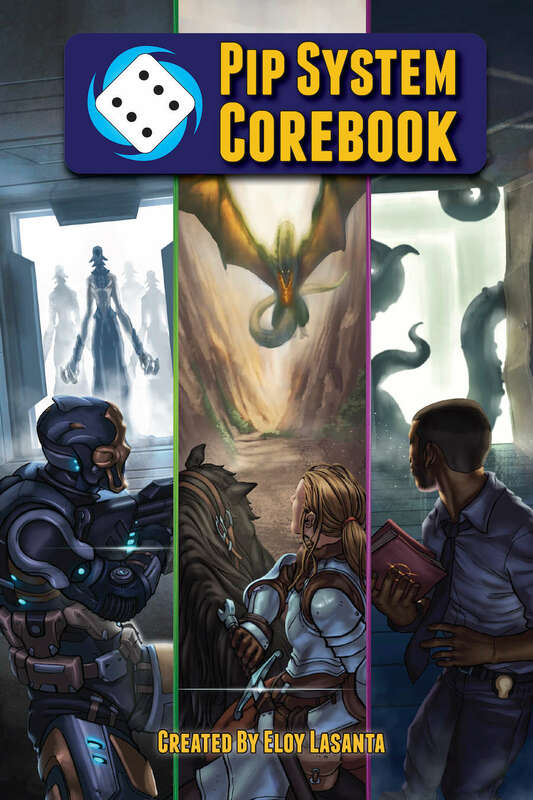 This book requires the Savage Worlds core rules, Rifts®: The Tomorrow Legion Player’s Guide, and (also ENnie-nominated) Rifts®: Game Master’s Handbook to play. These are the games that the ENnie Judges feel are best for folks to play with the youngest gamers in their circles, so they’re extra-important to me. Do you want new gamers? Because this is how you get new gamers! 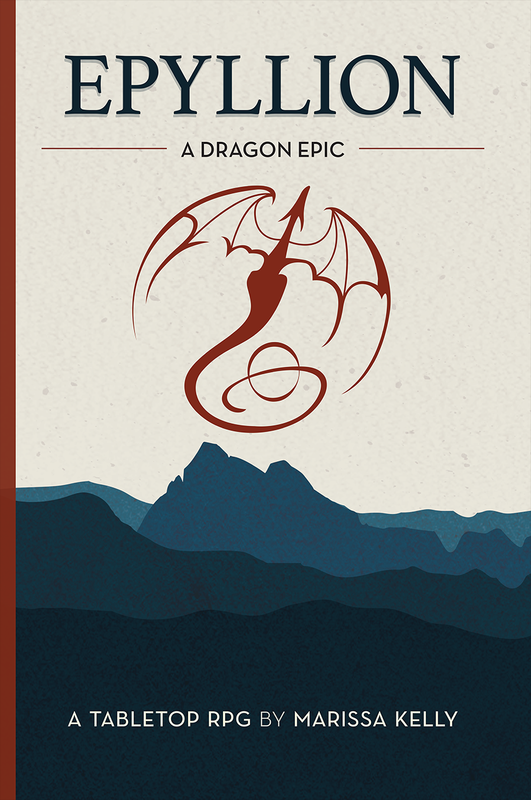 This easy-to-learn adventure game helps you tell the stories of a brave clutch of young dragons through a supportive yet simple system that promotes active listening, creativity, and cooperative play.